UMV series wash-guns have been specially designed for use in food, chemical and steel industry. They avoid hot water waste and their ergonomic shape makes them easy to handle. Their thick rubber casing safely protects operators’ hands from hot water and avoids to damage floors and equipments in case the gun falls on the ground. 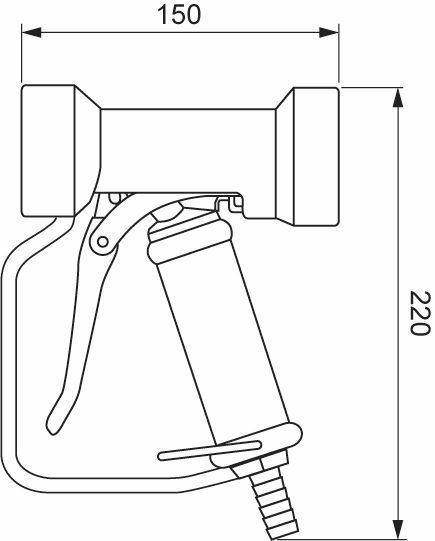 Standard spray guns have a safety trigger-lock, a easy-hold grip and a swivel button at the end of the piston to adjust the spray angle to the desired direction. 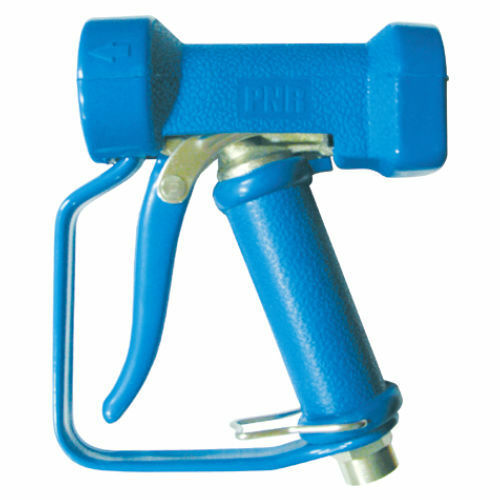 These spray-guns are constructed to match foam lances, bar lances and hot air lances. The chrome-plated brass model is used for normal operating environments whereas the version in stainless steel AISI 316 is suitable for use in the food and biotechnology industry and fully complies with European and American Directives for industrial production facilities.